CHARLIE WILSON RELEASES “I’M BLESSED” FEATURING T.I. [New York, NY – December 16, 2016] – Eleven-time Grammy nominee, Charlie Wilson, releases today “I’m Blessed” featuring T.I., the first official single from his new album In It To Win It. Wilson’s 7th solo album, In It To Win It, is set for release on February 17th, 2017 and also features musical guests Snoop Dogg, Lalah Hathaway and more. On February 8, 2017, Wilson will kick off his headlining national arena “In It To Win It Tour” in Norfolk, VA, with special guests Fantasia, Johnny Gill and pop music duo Solero. Every ticket purchased online via Ticketmaster comes with one physical copy of the In It To Win It album. For more information on tour dates, tickets, VIP packages or to purchase tickets visit www.charliewilsonmusic.com. 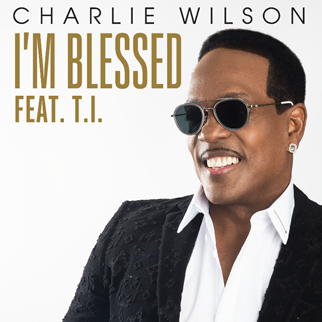 Purchase/Stream Charlie Wilson’s “I’m Blessed” featuring T.I.